Aircell and American Airlines have just announced that the domestic carrier will continue to deploy Gogo throughout 300 planes in the next two years. Starting this year, AA will outfit 150 MD-80 aircrafts followed by Boeing 737-800s. 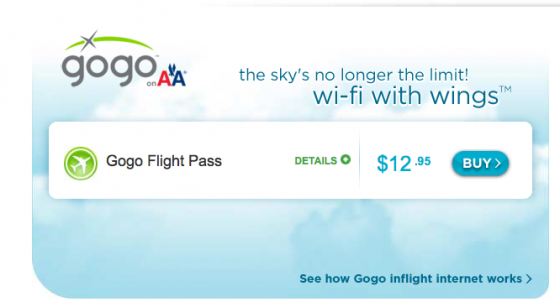 Gogo is currently available on non-stop AA flights originating from JFK to SFO, LAX and MIA. Flights longer than three hours cost $13 while flights shorter than that cost $10 and there’s a mobile device plan for $8. That is all.